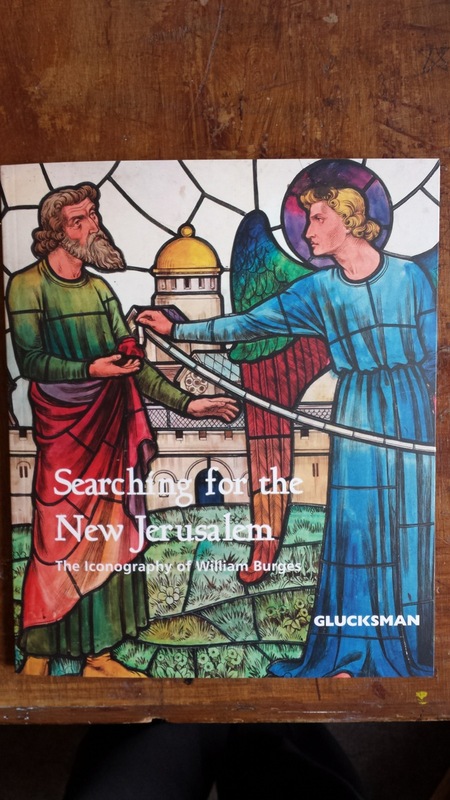 The St Fin Barre’s Cathedral Shop has taken delivery of a beautiful publication entitled Searching for the New Jerusalem: the Iconography of William Burges. Published in conjunction with the Glucksman Gallery at University College Cork, this catalogue accompanies a major exhibition of ‘cartoons’ or paintings of the Cathedral’s stained glass windows and plaster cast maquettes of some of the Cathedral’s wonderful sculptures which runs in the Glucksman Gallery until the end of March. Both the cartoons and plastercasts were commissioned by the Cathedral’s architect, William Burges to ensure the quality of the work being undertaken. Both were supposed to be destroyed once the work was complete. These wonderful works of art are normally stored away in secure humidity controlled conditions and are therefore not on public display. This publication has beautiful photographs of some of the collection and an explanatory essay by the curator of the exhibition (and Cathedral parishioner) Richard Wood. The catalogue costs €15 – and is available from both the Cathedral Shop and the Glucksman Gallery – add it to your collection today! This entry was posted in Cathedral, Heritage. Bookmark the permalink.